4K. Los Angeles city timelapse.View from Hollywood Hills on freeway 101 traffic. 4k00:054K. 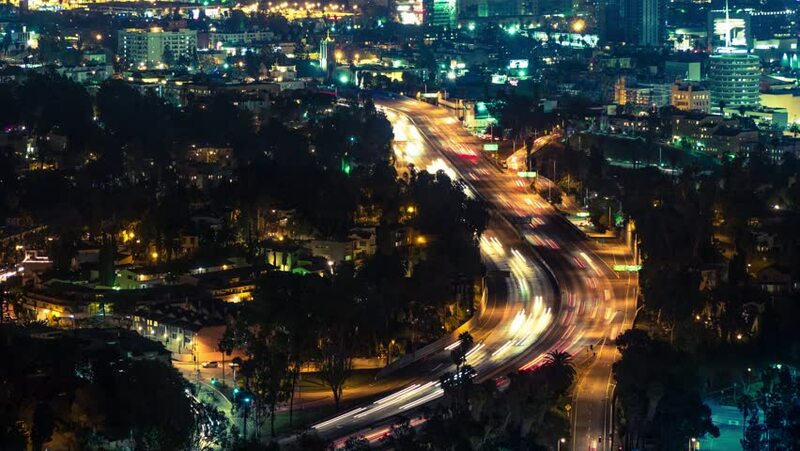 Los Angeles city timelapse.View from Hollywood Hills on freeway 101 traffic. Pan up with zoom in. 4k00:05Night skyline and the city with many bright lights and cars moving on the roads, mirror horizon effect. Media. Stunning night landscape with buildings, skyscrapers and lighted roads, inception theme. hd00:18Los Angeles, California - September 5, 2014: Night Freeway Traffic passes by Hollywood, Capitol Records, W Hotel and Cahuenga Boulevard September 5, 2014 in Los Angeles, California. hd00:05A time lapse video tilting from a mountain following the traffic on the Hollywood freeway looking towards the city center.